Otrzep is a village in the administrative district of Gmina Wierzchowo, within Drawsko County, West Pomeranian Voivodeship, in north-western Poland. It lies approximately 10 kilometres (6 mi) south-east of Wierzchowo, 32 km (20 mi) south-east of Drawsko Pomorskie, and 110 km (68 mi) east of the regional capital Szczecin. The village has a population of 70. Gmina Wierzchowo is a rural gmina (administrative district) in Drawsko County, West Pomeranian Voivodeship, in north-western Poland. 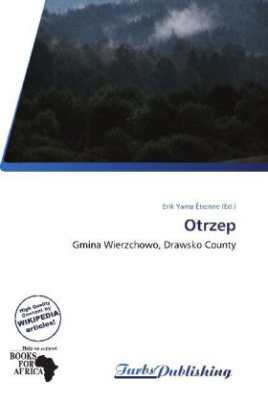 Its seat is the village of Wierzchowo, which lies approximately 22 kilometres (14 mi) east of Drawsko Pomorskie and 101 km (63 mi) east of the regional capital Szczecin.